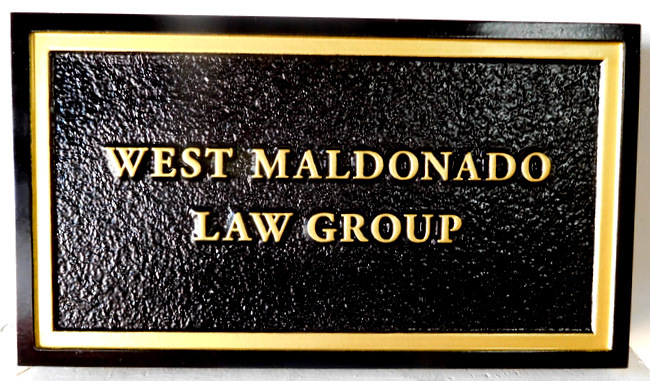 Shown above is a carved High-Density-Urethane (HDU) sign for a Law Group. This interesting law office sign has raised text, borders, with a sandblasted sandstone texture background. The entire sign is clear-coated twice.